I am pleased to welcome you to this virtual tour of the PRM College of Engineering & Management (PRMCEAM). PRMCEAM is a place where student is the first and foremost. As an educational service provider, we are committed to make our students comfortable in their learning endeavor. We do not teach different courses than others, we do teach the courses differently. The accreditation Grade “A” from NAAC-Bangalore is the testimony to our commitment for quality professional education. 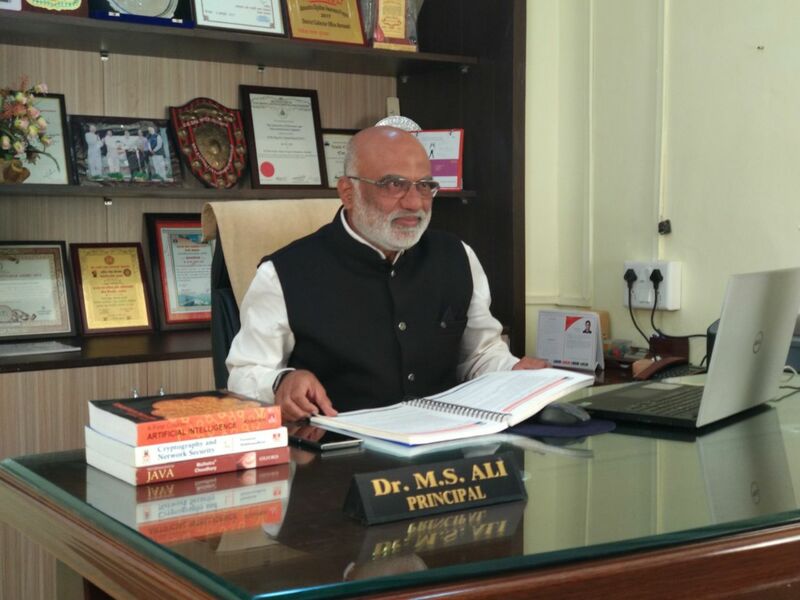 As the Principal my unstinting goal is to build the image of this college as a great college of engineering… A unique place for engineering education that focuses equally on both mind and personality of the students. I know, I am an engineer by training and a teacher by profession. With my experience of an engineering teacher for more than three decades I fully understand what it requires to transform an aspirant into a proficient engineer. And with the mission of nurturing responsible techno-citizens I have a focused vision for this institute to make it a Center of Excellence in Engineering Education. With this vision and mission we will continue to rise well above the norms through an outstanding faculty, focused first and foremost on the students, as well as through a growing portfolio of high quality research & development both in the field of Engineering and Technology. We will continue to foster engineers to be this century’s well-rounded leaders in technology and innovation. We will continue to make the engineering degree a special key to doorways of great opportunities through PRMCEAM . If you are considering PRMCEAM, come to see the difference. If you are aspiring to become a professional, join PRMCEAM to feel the difference. If you are already a part of PRMCEAM, need I say any more… U R THE DIFFERENCE!